I was so overjoyed when I finally made it down under that when I first saw the Harbour Bridge I almost fainted! Since then Sydney has been my favourite city in Australia (don’t tell Melbourne!) if not the world; and every time I visit I am in awe of how gorgeous it is. Now that I actually live in Australia I don’t visit anywhere near as often as I should (there are just so many other places to visit!). But every time I do make it back, I always have a great time reliving the sights. Catching a ferry to Manly from Circular Quay is my favorite thing to do. 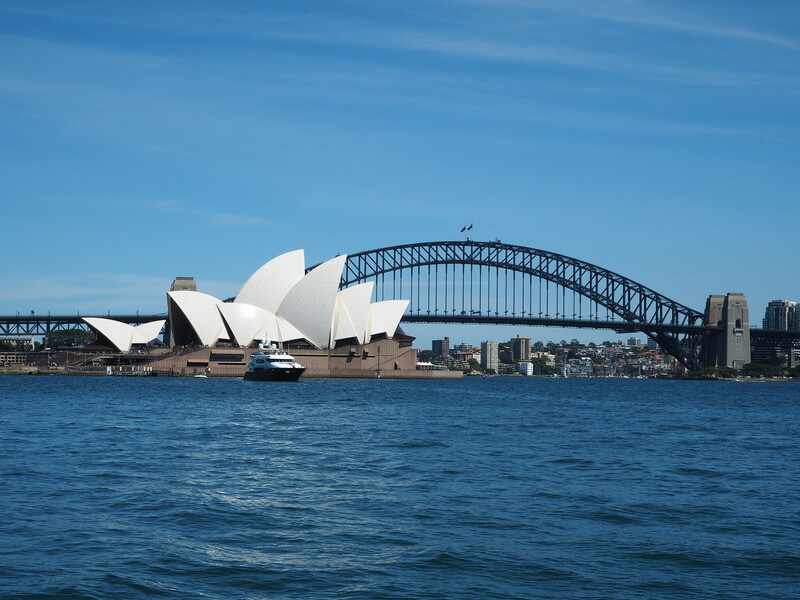 The trip is amazing with spectacular view of the harbour, the majestic bridge and the Sydney Opera House. It takes around half an hour to reach Manly, and on a lovely sunny day sitting outside on the deck taking in the scenery is simply wonderful. Once you get to Manly, a short walk across the Corso takes you to the magnificent Manly ocean beach. If the waves on Manly are a bit too much for you keep walking South and follow the scenic walkway to Shelley beach. Shelley beach is smaller but more sheltered and not as rough. Along the way you may be lucky to spot water dragons basking on the rocks along the path. 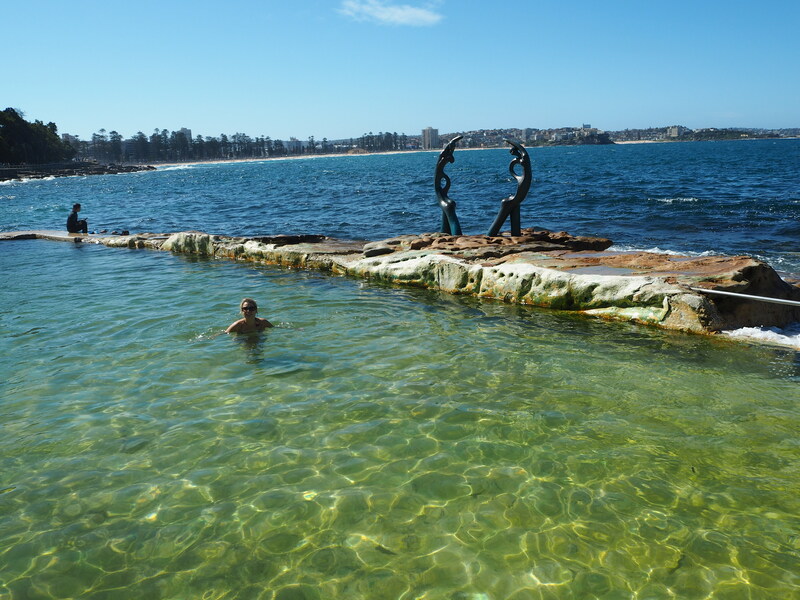 And you can even take a dip in the man made sea bath found half way between the two beaches. Another favorite excursion is walking the coastal path from Coogee beach to Bondi (you can also do it the other way around). Once again the views are spectacular with turquoise blue ocean, surfers taking on the waves; and all sorts of colourful rock formations. The walk is around two hours long but it isn’t a hard one. You will come across many smaller beaches where you can stop to relax or take a dip. And of course once you get to Bondi you can cool off and have a swim in Australia’s most famous beach! 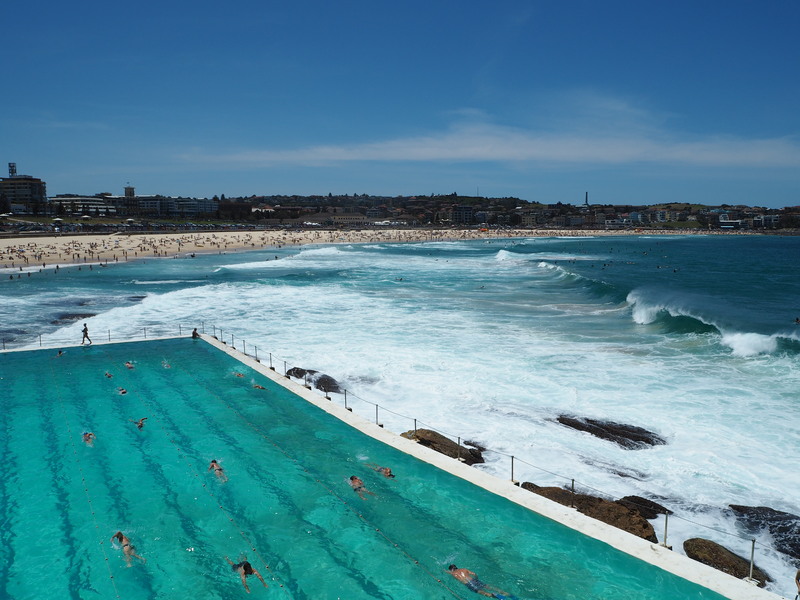 Another great spot to swim is the swimming pool at the Iceberg Club overlooking Bondi. 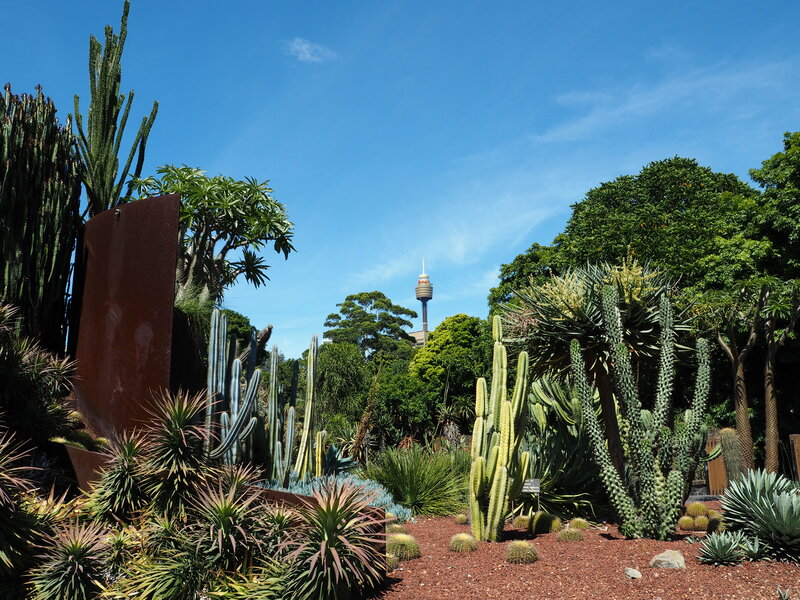 The Sydney botanic gardens are also worth a visit. They house many Australian native flowers and trees as well as wildlife such as colourful birds and lots of flying foxes. If you love cactuses don’t miss the cactus garden, the best I have seen so far. 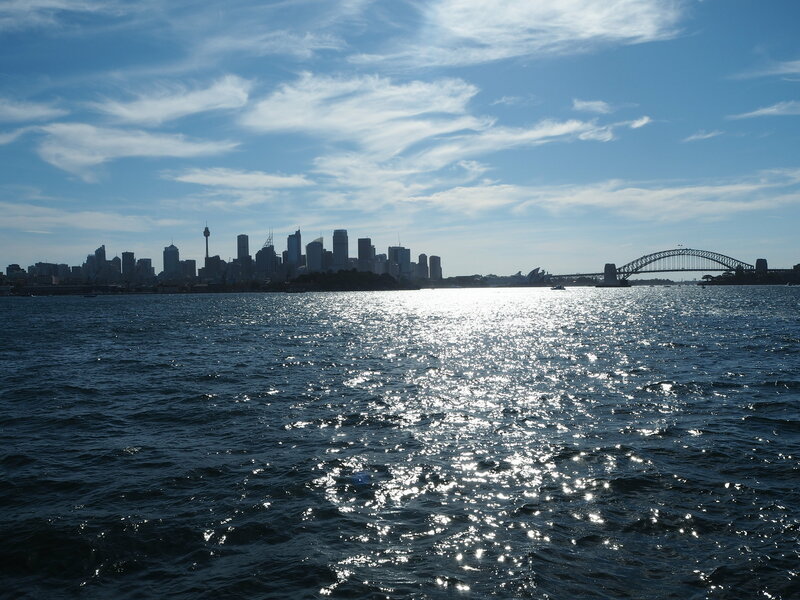 And for taking photos head to Macquarie Point where you will find great views of the city, opera and harbour. 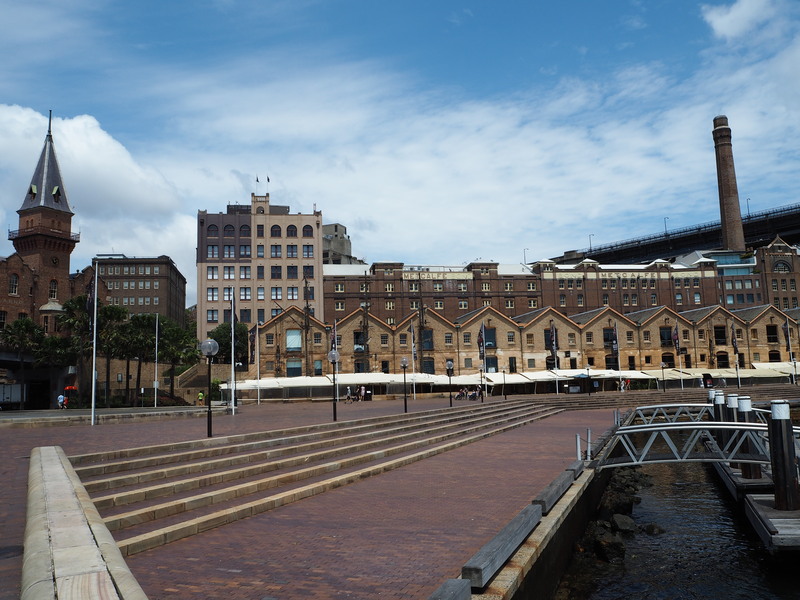 The Rocks and Circular Quay are two great areas in Sydney centre to wander around. While Circular Quay is a busy transport area with ferries departing to Manly, Taronga etc., and many waterfront restaurants, The Rocks is Sydney’s oldest district. It has many art and souvenir shops, restaurants, cafes and historic pubs. 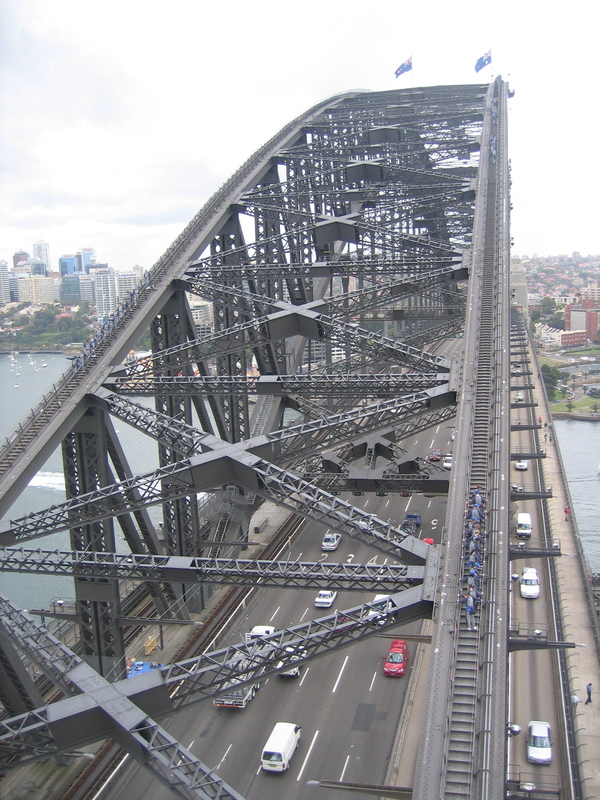 From The Rocks you can do the famous Harbour Bridge climb. It is quite pricey (currently around AU$260) but it is a great experience for the first time visitors to Sydney especially if you don’t mind climbing a few stairs. If you are less adventurous another cheaper way of enjoying the views is to visit the Pylon Lookout (currently AU$13) where you get similar views just from lower down. If neither are in the budget then a walk across the bridge is completely free!! There is nothing better than relaxing with a drink or two after a long day of exploring and the Opera bar is a great place to do it! With view over the bridge and the Sydney Opera House, it is a perfect spot to catch the sunset. It gets extremely busy in the evenings, especially at weekends, so be prepared for the crowds and come early. There is so much more to do in this amazing city; a weekend is never enough. Let’s put it this way – I will not wait another eight years to return!